These biblically based primer are designed for young children to clearly identify basic skills such as counting and colors with items illustrated from the Old and New Testaments. This biblically based counting primer is designed for young children to clearly identify basic numbers with items illustrated from the Old and New Testaments. This animal primer is designed to teach young children how to recognize animals that are named in the Old and New Testament of the Bible. 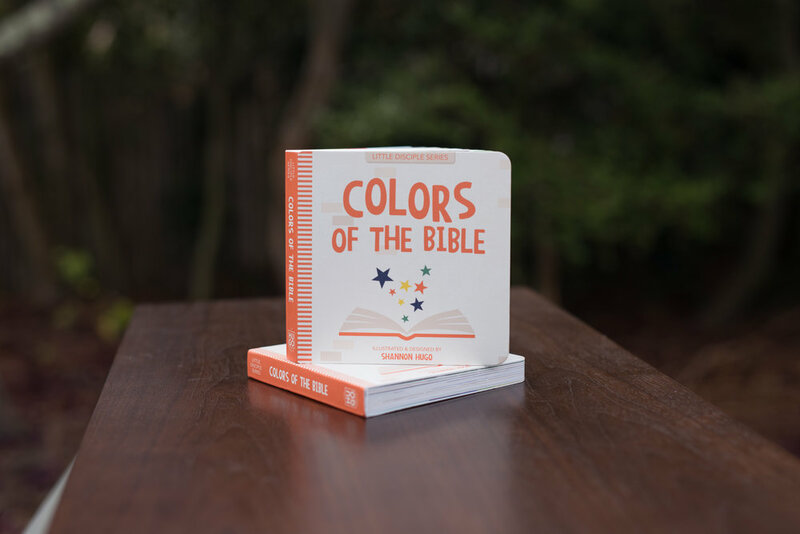 A delightfully bright, colorful and engaging board book that teaches young children basic colors through the lens of Scripture. We are The Hugo Press! Thomas and Shannon Hugo are a husband and wife team who live and work together in beautiful Monterey California with their two young children. Both Thomas and Shannon have worked for various non-profit organizations, along with private schools and freelancing. Their passion for art, music, beauty and proficiency is displayed in their creativity and attention to detail. They currently produce children's board books that span a variety of topics designed to teach content from the Bible for young minds. From animals to numbers, colors to plants, these books are beautifully illustrated and marketed to families interested in shaping their child's world around the narrative of the Bible.